US Bank Review: Account Good for You? U.S. Bank is the country's fifth largest bank, but does that make them a bank that will suit your banking needs? Do you need one of the country's largest banks or is a smaller bank more your style? U.S. Bank has 3,000 branches throughout the United States and 5,300 ATMs for U.S. Bank clients. They have a wide selection of checking, savings, CDs, and retirement accounts available. They even offer accounts that cater to students and seniors. Is U.S. Bank the right choice for you or would you be better off with another bank that has different options? Keep reading to find out what U.S. Bank could offer you. U.S. Bank checking accounts come with a U.S. Bank Visa Debit Card, access to online/mobile banking, online bill pay, and free use of U.S. Bank ATMs. Platinum: This is U.S. Bank's top checking account and is interest bearing. In order to waive the monthly service fee, though, you'll need at least $25,000 in combined personal deposit accounts at U.S. Bank or investments with U.S. Bancorp Investments. This account also offers no non-U.S. Bank ATM fees nor transfer fees for overdraft protection if transferred from a U.S. Bank line of credit. It offers discounts on personal checks and you'll also have access to several savings accounts free of charge and savings on certain U.S. Bank loans. Gold: You can open this checking account free of charge if you have a U.S. Bank credit card or line of credit. You'll get two "free" non-U.S. Bank ATM transactions per month, access to two more Easy Checking accounts for family members (you must be on the account too), and no overdraft transfer fee when you transfer from a U.S. Bank linked deposit account. Premium: The Premium checking account does earn interest and you won't pay fees for using a non-U.S. Bank ATM. You'll also receive discounts on personal checks and no fees for paper statements. You can waive the monthly fee with a $5,000 minimum balance or if one of the checking account owners is 65 years or older. Easy Checking: This "basic" checking account doesn't pay interest, but you only need an average account balance of $1,500 or monthly direct deposits to waive the monthly fee. It doesn't come with any of the bells and whistles above, but you can have the account free of charge by meeting the minimum requirements and opting in to online statements (paper statements have a monthly charge). Student: Students can have access to a basic U.S. Bank checking account with no monthly maintenance fee. You don't have to worry about minimum deposit requirements either. Students get four "no fee" non-U.S. Bank ATM transactions per cycle. They also get their first order of personal checks free of charge. (Note that a paper statement fee does apply if you don't opt-in to eStatements). Safe Debit: This is a "checkless" checking account. It's similar to a prepaid checking card, but you get access to online/mobile banking. There is a low monthly maintenance fee that you cannot waive. But you do get access to discounted money orders (if you should need to pay someone by check) and free access to your credit score. U.S. Bank savings accounts come with access to online/mobile banking, recurring bank transfers, overdraft protection options, and free access to U.S. Bank ATMs. Platinum Select Money Market Savings: If you have a Platinum Checking account, you can open this Platinum Money Market Savings account with no monthly fee and competitive interest rates. You'll need at least $25 to open this account. 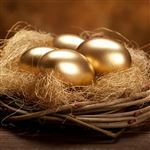 Package Money Market Savings: If you have a Gold checking package, you can apply for this money market savings account. It offers competitive interest rates and has no monthly fee. You'll need at least $25 to open the savings account. Elite Money Market: Open this account with $100 and earn higher interest rates the higher your balances become. You'll need a $10,000 minimum balance to waive the monthly fee. You'll have check writing privileges with this money market account as well as access to online/mobile banking. You can also use any U.S. Bank ATM free of charge. Money Market Account: You can earn money market interest rates with this account if you open it with at least $100. You only need to keep a $1,000 daily balance to waive the monthly fee. You'll have access to online/mobile banking too. Retirement Money Market Account: Get higher, tiered interest rates and low-risk for your retirement account with this money market. There's no monthly maintenance fee and you can open the account with $100 or $25 automatic deposits. Standard Savings Account: This simple savings account can be opened with just $25. If you keep a balance of $1,000, you can waive the monthly service fee. You'll earn interest on your money and have access to online/mobile banking. 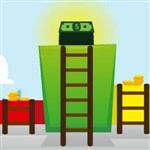 Goal Savings Account: Set up automatic $25 or larger deposits and you don't need any money to open this account. U.S. Bank will automatically transfer money from your U.S. Bank checking account in the frequency and amount that you request. You'll earn a fixed interest rate on your earnings. Promotional CD: With just $1,000, you can open a "special CD" that has promotional interest rates. These interest rates are usually higher than what you'd find with a standard CD. They offer a variety of maturity dates that range from 11 months to 59 months. The longer you can tie up your money, the higher the interest rate you'll earn. CD: If you have $500 to invest, you can open a standard CD with maturity dates ranging from one month to 60 months. Step Up CD: If you can tie up your money for at least 28 months, take advantage of the increasing rates of this CD. Every seven months, the rate increases. This would give you an opportunity for four interest rate increases in 28 months. You'll need $1,000 to open this CD. Trade Up CD: With $1,000 and 30 or 60 months available, you have the opportunity to lock in a higher interest rate one time during your CD's term. U.S. Bank's Routing Number: You'll need your U.S. Bank routing number to set up direct deposit or automatic bill pay. You can find the number on the bottom of your check. The first set of numbers is the routing number. The second set is the account number. Each state has its own routing number, so make sure you have the right routing number to ensure your money goes where it belongs. You can open a savings account for your kids free of charge. The Star Savers Club Account requires just $25 to open the account and helps kids ages 17 and under manage money and earn interest. You can customize your alerts. You can receive text or email alerts about low balances, negative balances, withdrawals that exceed your threshold, overdrafts, and new statement alerts. You can also set up alerts for any type of debit/credit card transactions that you want to know about, including declined transactions or high transaction amounts. You can use online banking to pay bills, check transactions, transfer money, access free online statements, and check transactions. You can access online banking 24/7. You can set up online bill pay alerts. Whether you want to be alerted of an upcoming due date, sent payment, reminder about an automatic payment about to be sent, or when an eBill is received, you can do so. This way you can automate the bill pay process, but still always know what is going on in your account. You can use the U.S. Bank mobile app to conduct many banking transactions. The mobile app mirrors the online bank portal, making it easy to check balances, pay bills, transfer funds, and activate your bank cards. You can also enable the Instant Balance Feature that allows you to see your balance without logging into your account. You can deposit your checks from your mobile app. You don't have to visit the bank; you just take a picture of the front and back of your check and follow the prompts in the app to deposit your check. You can send money to friends and family with Zelle. All you need is an email address or mobile phone number to send the payment. It's free to use and you can access it right in your U.S. Bank mobile app. You can activate location services in the mobile app to enhance the security of your bank card. With location services on, U.S. Bank can tell when you and your bank card are together. If someone tries to use your card that isn't at the location that your phone is located, it will alert U.S. Bank of potential fraud. U.S. Bank is FDIC insured. Your accounts are protected up to $250,000 each. In the event that U.S. Bank goes out of business, your money will be safe. U.S. Bank is located in 26 states. If you don't live in one of the states where the bank is located, you can't take advantage of their banking programs. U.S. Bank has high minimum balance requirements to waive the monthly service fees. Basic account holders usually want minimum balance requirements that are less than $500, but even the Basic checking account requires a minimum balance of $1,500 to waive the monthly service charge. 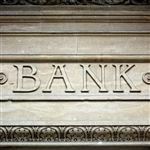 U.S. Bank charges hefty overdraft charges. If you tend to go over your balance, it could cost you a pretty penny at this bank. They charge their overdraft fee up to 4 times a day and also charge an extended overdraft fee if your account remains in overdraft status for more than seven days. BMO Harris Bank: BMO Harris offers a large, fee-free ATM network with more than 43,000 participating ATMs. Their account selections are much less than what U.S. Bank offers, and they only have one interest-bearing checking account that requires a $25,000 balance to waive the high monthly service charge. Wells Fargo: Wells Fargo has 13,000 ATMs and 5,800 branches in the U.S. Wells Fargo offers a similar number of checking/savings account offerings. What they are known for, though, is their "second chance checking account" offerings. This helps those who faced financial destruction get back on their feet with a standard checking account. If you are looking for a bank that doesn't require large balances, you'll have to look elsewhere. U.S. Bank is better suited for those with large amounts of money to keep in their checking/savings account. If you don't meet the minimum requirements, you run the risk of paying high monthly service fees. But, if you can meet the monthly minimum requirements and you want all of your banking done in one place, U.S. Bank has a lot to offer. Disclaimer: This content was first published on November 7, 2018. Information including rates, fees, terms and benefits may vary, be out of date, or not applicable to you. Information is provided without warranty. Please check the bank's website for updated information. Leave a comment about US Bank Review: Account Good for You? What do you look for in a bank account? Do you prefer simple, no-frills accounts or do you need all of the bells and whistles? If simple bank accounts are your cup of tea, you may find that FirstBank has just what you need.